Marble is firmly associated with classical art, but marble is a stone that had been used in antiquity, mostly in Africa, Asia and the Middle East. The Taj Mahal in India was made of marble, just like the Parthenon of Athens. It is one of the most favored mediums in the ancient world for sculpture and architecture. The best ancient sculptors were the Greeks, according to many, and they favored marble as a very good medium, referring to it as a shining stone. Marble is created through metamorphosis. When limestone is subjected to extreme temperature or pressure it undergoes a recrystallization process, which changes the sedimentary rock into marble. The stone comes in different types and colors. The most favored during ancient times was white marble, like the Penteli marble that was used to create Venus de Milo in 130 BC. Penteli and the Parian, considered as the most famous white marble, were quarried in Athens and Paros, respectively. During the Byzantine era, marbles from Italy became popular for art and architecture. Carrara marble come in bluish-gray or white color. This type of marble was used for Trajan’s Column and the Pantheon. Carrara was the same type of marble that was used by Renaissance artist Michelangelo to create his masterpiece, the 14.2 feet high statue of David, on display at the Galleria dell’Accademia in Florence, Italy. White marble was preferred by ancient artists because of its beauty and purity of color as well as for its resistance to shattering and the soft composition of the medium. It allowed the sculptors to carve detailed human forms, which were often the favored subject, with precision. However, it should be noted that most of the Greek sculptures were off-white and not pure white. Greek sculptors actually avoid using pure white marble because its very color made it harder for people to see the gentle curves of the muscles of the body. Some of the great sculptors in antiquity who chose marble as their medium were Phidias, Praxiteles, Polykleitos and Myron. They were succeeded by some equally-great sculptors during their time, including Rodin, Canova, Bernini, Michelangelo and Donatello. Michelangelo once said that stone sculpture was the slow release of a form out of a block (of stone) and that the role of the artist is to liberate that human form out of the block where it was trapped. Marble was a great medium for the classical and Renaissance artists because the sculptors were able to make their pieces come alive. They could create masterpieces that were frozen in action, sensuous, expressive and could strike a specific mood. They were able to render clothing that would cling to the body’s contour, light and flowing, as if wet or blown by the wind. With marble, the sculptures were no longer just stationary figures but figures with verve and life. 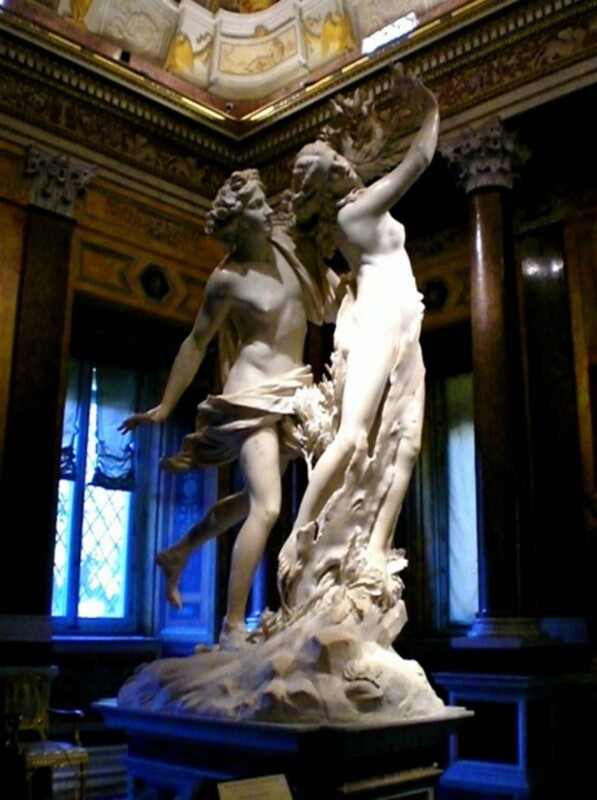 It is the innate characteristic of marble which made it a favorite among sculptors. Raw marble coming out of the quarries are easy to work with because it was relatively soft. However, it is a material that become extremely dense and hard with age. It also comes in different patterns and shades, which challenge the artist’s creativity. Marble also has a low refractory index of refraction that allows light to penetrate through it just like human skin, which result in a waxy look. Marble is more resistant to weather, has a much finer grain that is ideal for rendering the smallest detail and can be polished to a high shine. It is the only stone that has a slight translucency that makes it look like human skin. This translucency provides a marble sculpture the particular visual depth that gives the sculpture a definite sense of realism. Of course marble also has its drawbacks. For one thing, marble is rare so it is more expensive than other rocks. It is difficult to transport due to its weight. 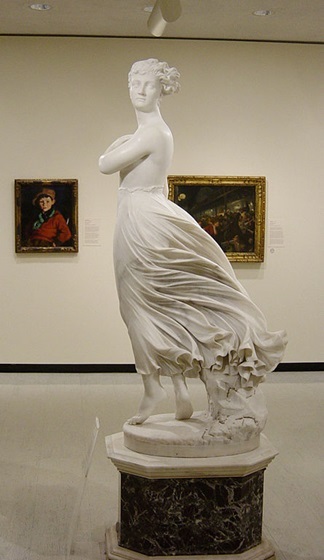 It also has low tensile strength therefore extended poses such as those used in ballet, could not be executed because the marble will crack and it has less resistance to weather compared to granite. While marble looks solid, it absorbs oil from the skin, thus continued touching of a marble piece will cause staining.